At our closing carol service at the end of the ministry training week Pastor Manases of Christ Supremacy Church fed us wonderfully from these verses, particularly pointing us to the glory of Christ and the way that he brings true peace on earth through his reconciling death, but also making a side point that it is very easy for a church or Christian organisation to drift away from a pursuit of the glory of God towards a pursuit of the glory of man. 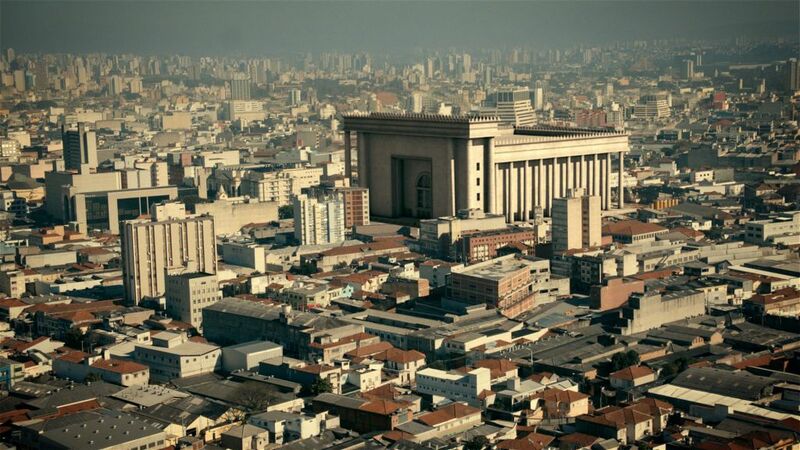 David Jackman, in an Evangelicals Now article, highlights the case of ‘Solomon’s Temple’ in Sao Paulo, Brazil – a recently completed 11-storey, 10,000 seater, $300 million centre for the Universal Church of the Kingdom of God. Religious idolatry is an ever present threat and… powerful whenever Christ and his work is sidelined in favour of he church and its image in the contemporary culture. It will be motivated by competitiveness (my church is more successful than yours), by a commitment to impressing the world on its own terms, rather than living in it on Christ’s terms. It will seek the acceptance and approval of the world, rather than being crucified with Christ (Gal. 6:14). After Church I came home and turned on the TV to listen to a sermon by one famous Kenyan preacher. It’s a Saturday morning, there’s a somber mood sweeping across the whole village. There I was among the mourners. Reality is dawning on the mourners that actually they won’t be seeing their loved one again. In a few hours’ time, she’ll be laid six feet under and that is it… gone forever never to be seen in this life again. That’s the moment you realise that however much you, as a mere mortal, love someone so much, you can never bring them back to life again. Death is indeed an enemy! At this time of bereavement, the family and friends of the deceased need nothing short of comfort, consolation and support. And there’s a way in which if you belong to a church congregation, you can definitely, almost certainly know that the church will be there in full swing to provide this kind of support. All was going on well, with tribute after tribute pouring in, until something happened; When time came for the ‘church’ to take over and conduct the service and eventually bury the dead, they were nowhere to be seen! They had boycotted the whole thing because apparently the family didn’t play by the rules like no playing of music, no speeches, burial be at 9 a.m. e.t.c. So the best thing they could do was leave. What a disappointment! Is this how the ‘church’ behaves?? Seemingly, the church is more important than the people! But what really constitutes the church if not Christ and people!! Romans 12:15b teaches us to “mourn with those who mourn.” And our Saviour Himself, in John 11:33 “When He saw her [Mary] weeping, & the Jews who had come with her also weeping, He was deeply moved in His Spirit and greatly troubled. ” He couldn’t hold it in “Jesus wept” (John 11:35). The ‘church’ here failed to witness for Christ. What does the Bible teach us about death & mourning? And how can we represent Christ to a watching world? Jesus is deeply moved & greatly troubled by Lazarus’s death and the weeping of those who were there… He identified with them… He didn’t shut Himself from the realities of the messy world around Him, which death is part of. This is exactly the reason why He came on earth, to restore this fallen world. Funerals provide a huge opportunity to speak of this Christ & His Mission and also to show people what the heart of Christ is. This we do not in theory but in practice. Look at Jesus at Lazarus’s funeral. He would do more that just weep. He went ahead and raised Lazarus back to life. Of course Lazarus died again later but here Jesus was giving us a sneak preview into what He will do. He will later on go to the cross, die, be buried and after 3 days rise again, thus opening the way for us to enjoying eternal fellowship with God the Father, Son & Holy Spirit. Funerals are a great evangelistic opportunity. This is the opportunity that the Church has. Use that setting of funeral and death to speak about One who died to defeat death and thus give us hope beyond the grave. Yes, this is the genesis of the whole saga. The ‘church’ in question here is actually well known. I know in Kenya we don’t like calling by name but we know them- the Jehovah’s Witness. The thing here is not just about refusal to mourn with the family or bury the dead- it goes much deeper. What of causing some of the children to also skip the burial of their own mum!! And how about going and locking themselves in one of the sons’ house to ‘pray’ when people are waiting for you to speak to them!! How about being totally secluded from ‘the world’ and not wanting anything to ‘defile’ you! It has to do with what they actually teach (which is a thing for another day). Is this really biblical Christianity? It’s either they are representing Christ wrongly and they need to be corrected or the Christ they are teaching is not really the real Christ, or both- if their actions are anything to go by! “Be careful… Be on your guard against the yeast of the Pharisees & the Sadducees” (Matthew 16:6). A little yeast affects the whole lump of dough and given some time, you’ll see the dough ‘rise up’ never to flatten again. That is what false teaching does. And J.I. Packer wrote in Themelios magazine in 1996: ‘The great Puritans were as humble-minded and warm-hearted as they were clear-headed, as fully-orientated to people as they were to Scripture, and as passionate for peace as they were for truth. They would certainly have diagnosed today’s fixated Christian intellectualists as spiritually-stunted, not in their zeal for the form of sound words but in their lack of zeal for anything else’. As for me, I’m with the Puritan Thomas Goodwin who wrote: ‘I never yet took up party religion in the lump… I have found gospel holiness where you would little think it to be, and so likewise truth. And I have learned this principle, which I hope I shall never lay down till I am swallowed up of immortality, and that is, to acknowledge every truth and every goodness wherever I find it’. What really struck me from the last few days of the ministry training course last week was the emphasis that came out on the future, eternity, our great Hope. I’d never noticed what Fidel brought home so powerfully from 2 Tim. 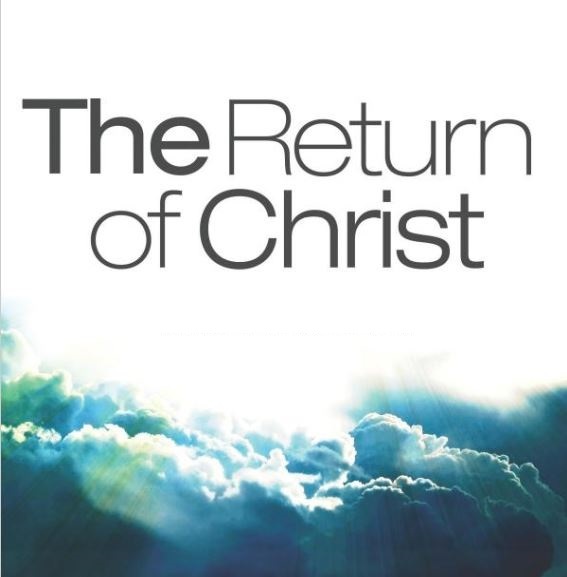 4:1-2 that the number one reason to preach the word is the return of Christ. We are preaching in the last days a gospel of eternal life in view of the coming Day (cf. 2 Tim. 1:1, 10, 18; 2:10; 3:1; 4:8). We found that the reason to put to death our ungodly desires (Col. 3:5) is because Christ, who is our life, is about to appear and we will be glorified with him (Col. 3:4). How badly do we need this powerful injection of eternity into our Christian lives and churches? Is the Christian Union of a university (FOCUS, UGBR or whatever) a church? Do CUs understand themselves as effectively churches? What is and what should be the relationship between the CU and local churches? How easy is the transition for Christian students from university fellowships to post-university church life? What would help that transition? What about High School CUs? 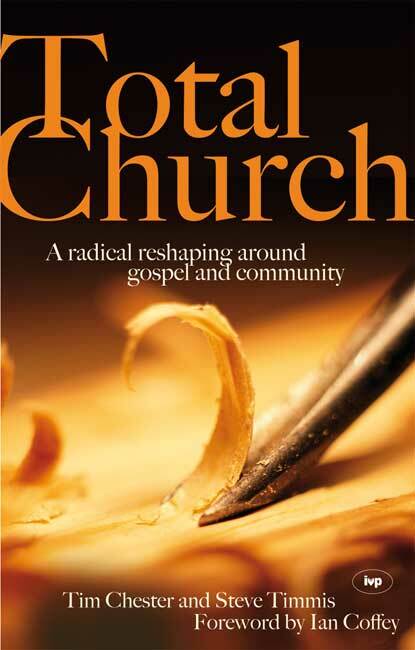 Does a disengagement from the local church start much earlier than university? Talking to a number of brothers in Kenya I know the answers to these questions will vary considerably depending on whether we are talking about Nairobi contexts or more rural campuses. Let me say here I’m a big fan of FOCUS-Kenya. They do fantastic work in evangelism and discipleship, training in Bible handling, expository preaching, and in mission mobilisation. In many ways they are one of the most exciting aspects of the Kenyan Christian scene. iServe Africa is very grateful for a strong partnership with FOCUS. All the same I am interested to hear answers the questions above and interested to know whether there is a useful discussion still to be had on these issues. [The IFES-UK] commitment to the local church is the very foundation of [its] existence. Having no students of [its] own, the whole missionary outfit is manned and led by students belonging to local churches. Without the local church, there are no Christian Unions. Local churches are wonderful at working with one another at a student level — they faithfully send their students to work together under the one banner of Christ. Christian Unions are the missionary arm of the local church on campus, and so the best way for churches to support CUs is to invest in their students — to strengthen the arm that holds out the word of life on our campuses… love your students generously: open up your home; lift them up regularly in prayer; get alongside your younger brothers and sisters and disciple them. I am constantly urging the students who I work with to ask more mature men and women of their church family to meet up with them for Bible study and prayer. I pray for a time when the students don’t have to take the initiative, but are invested in as a matter of course, one-to-one. Christian Unions can only be as strong and mature as their represented churches make them. Now I’m sure there is lot that is determined by social, cultural, historical and geographical context. In England, for example, boarding at high school is comparatively rare; university courses are usually 3 rather than 4 years; CUs at universities number in the 10s or 100s rather than in the 1000s; many (though by no means all) university cities have a high density of good Bible-teaching gospel-hearted churches who have been developing student ministries for many years. But are there some things here that are cross-cultural? What are the functions and mission of the church? When is it ok for a fellowship to be of a single age group? Do we need to have a bit more of a think about what is a CU and what is a church?